What can I do if my child needs me to be there in order for them to sleep? For some children, falling asleep without an adult with them seems impossible. Perhaps your child is used to you sleeping in bed with them, or on a chair in the corner of their room. Although your presence may help them settle to sleep initially, if these same conditions are not in place when they wake up in the middle of the night, they may struggle to settle themselves back to sleep. In order to help your child learn to fall back to sleep by themselves, you could try gradual withdrawal. If, for example, you usually sleep in the same bed as your child, try sleeping on the floor next to them. After three nights, move slightly further away. After three more nights, you could sleep on a chair next to the bed. Then try moving to the corner, then outside the room. If your child cries and tries to get you to come into bed with them be firm. Avoid conversation and eye contact if possible. This may be very difficult at first but eventually your child will learn to fall asleep without you there. This advice is taken from our detailed Sleep Guide. Several techniques are also explained our new Sleep Tips booklet. If you’d like some individual advice just fill out our Sleep Referral Form and a member of our Sleep Team will be in touch. Take our true or false quiz to find out. Well done! Why not share your result on social media and challenge your friends to do better? Bad luck this time. Why not check out our new sleep tips booklet and then try again? True. As part of our natural sleep cycles we all wake partially multiple times throughout the night but most of us fall straight back to sleep and have little memory of waking the next day. False. 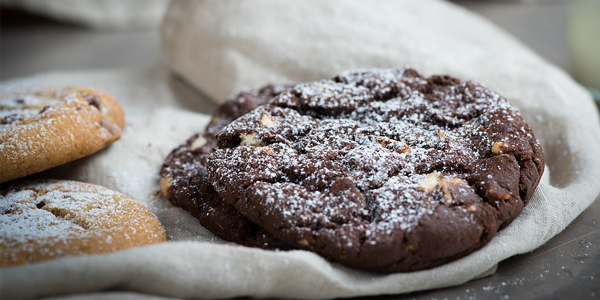 Both tea and chocolate contain caffeine, which can make it difficult to fall asleep. False. You should include quiet, calming activities in your child’s bedtime routine. Things like colouring, play-doh or puzzles are good options. True. 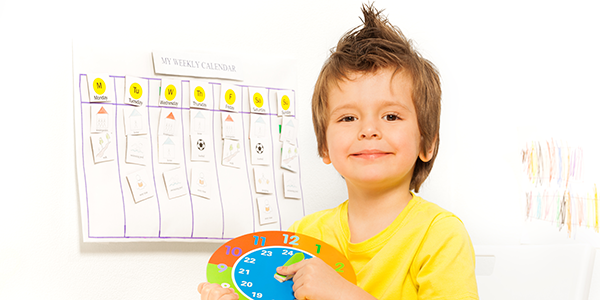 Many children are visual learners so a picture schedule can help them process the information. False. If your child finds music relaxing it’s fine to play music at bedtime. 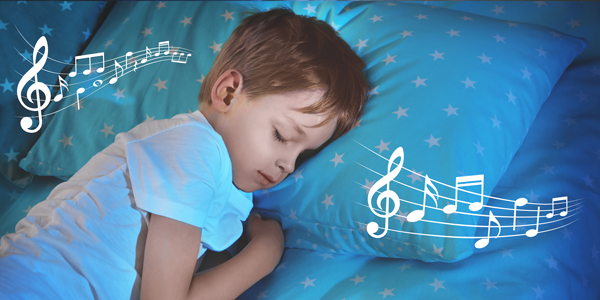 We’d recommend that it’s either kept on – quietly – all night or your child knows how to turn it on themselves if they wake up in the night and need the music to get back to sleep. True. Phones and tablets (and TVs) give out blue light which prohibits our natural melatonin production. Melatonin is the hormone that makes us feel sleepy. False. If your child falls asleep with you in the room they’ll find it harder to go back to sleep if they wake in the night and you’re not there. This is called a sleep association. Our new sleep tips booklet has more information on this and lots of other tips and techniques. True. A blanket, teddy or item of your clothing can be used as a comforting object to substitute you when your child is falling asleep or if they wake up in the night. There’s more information on this and other techniques in our new sleep tips booklet. False. This is called intermittent reinforcement and it’s actually the most powerful type of reinforcement there is. Letting your child get into bed with you sometimes and not others can encourage your child to ‘try their luck’ most or every night. Consistency is key – whatever you feel is manageable. False. 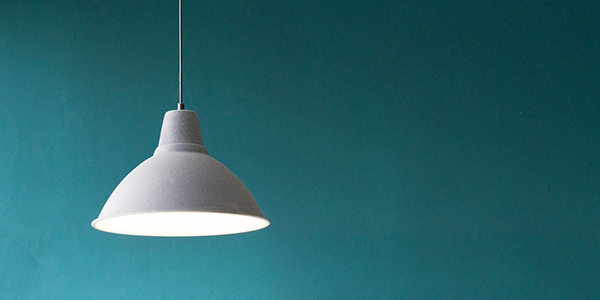 Bright light exposure (using something like a SAD lamp or a daylight bulb) in the morning can set our 24 hour sleep/wake cycle, helping with problems settling at night and waking up in the morning. We are launching a new resource to help families who have a child with a brain condition to get a good night’s sleep. ‘Sleep – tips and techniques for families who have a child with a brain condition’ explains techniques to help with the ten most common sleep problems including refusing to go to bed; not wanting to sleep alone, waking up during the night, waking up early. We all need good quality sleep in order to learn new information, pay attention to the world around us, and store memories effectively. Sleep influences our mood, how hungry or full we feel, as well as fundamental biological processes such as cell development. Given the wide-reaching impact of sleep, it is not surprising that poor sleep has a significant negative impact on people. Unfortunately, short and disrupted sleep is common in children with neurodevelopmental disorders. Children with autism, intellectual disabilities and a variety of rare genetic syndromes are at greatest risk of experiencing the negative consequences of poor sleep. What’s more, these children may already find learning new information, maintaining attention and regulating mood and behaviour very difficult; compromised sleep in these groups is therefore a huge concern. Our Sleep Service helps families to get a better night’s sleep through one-to-one support, sleep workshops and sleep information resources. The information in the booklet is based on research at the Cerebra Centre for Neurodevelopmental Disorders at the University of Birmingham. 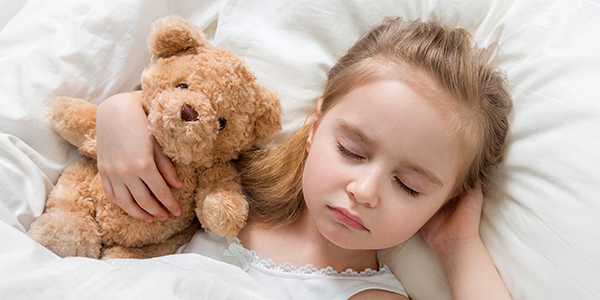 Through the Sleep Project they are leading cutting edge research to understand the different types and causes of sleep problems in children with neurodevelopmental disorders, identifying how poor sleep impacts on children and their families and trialling new interventions to reduce sleep problems more effectively. The Sleep Tips guide can be downloaded free of charge. You can also access one-to-one support, find out about sleep workshops as well as download our comprehensive Sleep Guide. We’ve planned a week of activity on social media around the launch of the new Sleep Tips booklet. Cerebra Sleep Week runs from 17th – 23rd September and will include lots of advice and support for families who may be struggling with lack of sleep. #Cerebrasleepweek. One of our Sleep Practitioners recently helped a family who were struggling to get their daughter to bed, and to sleep. Sleep Practitioner Laura explained: “Charlotte is ten years old and has ASD. Her main issues were settling at bedtime and sleeping alone. She was taken to bed at 9:30 but this could cause huge issues and arguments, or endless delaying tactics and bedtime was stressful overall stressful. We agreed to focus initially on introducing a calming bedtime routine and suggested implementing a temporary later bedtime. Mum began taking her to bed at the time she was naturally falling asleep with the aim of very gradually moving this backwards by 15 minutes. This, in combination with a calming bedtime routine (we chose a massage, red light and filtered glasses to watch TV with) meant Charlotte was going to bed in a much better mood, and falling asleep without any arguments or delaying tactics. 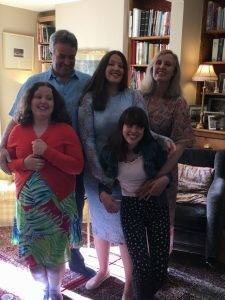 “I found Cerebra’s Sleep Service invaluable as the advice given was tailored specifically for Charlotte’s needs, taking into account her preferences. Prior to using your service, I felt that I had explored all options and nothing worked. She was very anxious and confrontational at night and would avoid going to bed at all costs. However, with your suggestion of removing the stressors (wash, teeth etc) outside of the one hour prior to bed and using visual cues, she is much calmer. I have a board upstairs detailing what she needs to do to the point of going to bed and the time she needs to be in her own bed. I was concerned as she loves to watch a DVD prior to bed and I was aware that blue light was an issue with sleep. However, you reassured me that if this was what worked for her, we could work around that. On your suggestion, I purchased red filtered glasses and she wears these with pride. I also purchased red night-lights as the ones I was using had a blue light. When you examined her sleep pattern, it was established that a natural time for her to fall asleep was 10.30pm -11.00pm, so you recommended she wind down for one hour prior to 10.45 and then watch her DVD with her filtered glasses on. We did this for a month then successfully reduced bedtime by 15 minutes for a further month. I have just reduced this again by 15 minutes and she is accepting this without question, going to bed without arguing and not delaying going to sleep by trying to play games. She is waking up in a better mood and this is helping with her self care routine. You also suggested as she was experiencing pain in her legs that this could impact on her sleep. The GP/nurse had always put this down to growing pains. However, you gave me the confidence to question this and my podiatrist diagnosed her with hypermobility which is now being treated with physio and she has orthotics fitted. She also has daily massages. This is reducing the pain. Once she is taken to bed, I still need to stay with her until she is asleep. In general, she falls asleep within 20-25 minutes and I am then able to leave her. Once I have a bedtime routine in place where she goes to bed at 10pm, I will work on supporting her to self soothe so she can fall asleep unaided. You kindly offered to support me at that time as this is a stressor for her and causes anxiety, as she is afraid of being alone. I am very grateful of your help as your suggestions were not ‘the norm’ offered by other professionals I have worked with who do tend to focus on ‘bath, book, bed’, which just didn’t work for us. 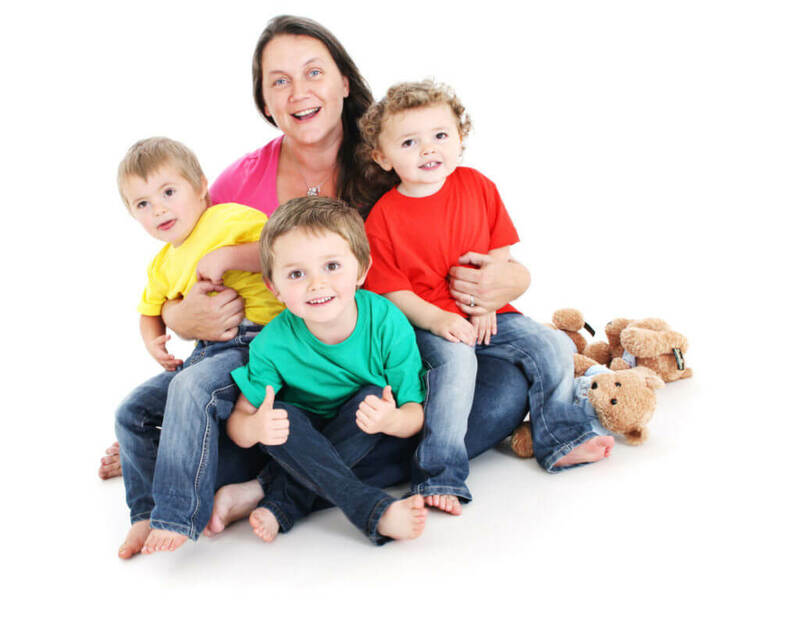 Charlotte’s overall well-being has improved significantly because of your help and we have a much calmer, happier household. Without your support, I am confident that my daughter’s sleep habits would not have improved. Thank you”. Download our great new sleep booklet for more tips and techniques to get a good night’s sleep. Mum Rachel contacted our Sleep Service to get some advice about daughter Poppy who was having a number of sleep issues. She told us their story and how Sleep Practitioner Kaileigh was able to help the whole family settle into a better routine. Poppy is 10 years old and has a condition called Fragile X Syndrome. This affects her in many ways in her daily life. She has a learning disability which means that she can’t read or write and has low muscle tone. She also has autistic like behaviour which means that she likes routine. She’s also asthmatic. This can all have a big impact on the way she sleeps. Before her mum contacted our Sleep Service, Poppy would only settle to sleep if one of her parents were there and would always wake up early – around 4.30am. This would cause problems for the whole family as Poppy also shared a room with her sister Gigi. Poppy’s asthma also often caused her to be sick in the night when she was younger and so her parents felt as though they needed to be near through the night and this had an impact on their sleep. One of our Sleep Practitioners, Kaileigh, suggested a number of techniques for mum to try to improve the quality of Poppy’s sleep including using a comforting object. For Poppy, this meant introducing cuddly toys which she grew an attachment to and found comforting. She named her four teddies after people she cares about and having these through the night means that she has a reminder of her parents and can now settle herself without having to wake her parents. 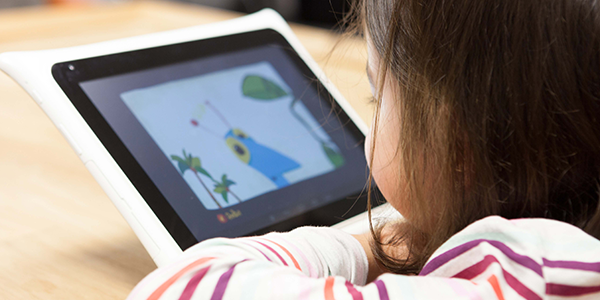 Another positive change that the family has made is reducing screen time before bed. The light that our electronic devices gives off can disrupt our natural sleep cycles so reducing screen time and using a red light (red light doesn’t disrupt out sleep cycles in the same way as other light) in Poppy’s bedroom improved her sleep. She is now even able to sleep with only the landing light on – something she would never have been able to do before. Poppy is now sleeping much better and she and her sister even have their own rooms now so they can be typical girls. Poppy has chosen a unicorn theme for her room! Read more about using a comforting object and other techniques for getting a good night’s sleep in our new sleep tips booklet. What impact do sleep problems have? Although the odd night of poor sleep may not affect daily abilities, persistent sleep problems can have a huge impact on individuals with and without intellectual disability and their friends, families, colleagues and carers. For all individuals, lack of sleep is associated with problems with mood, learning, memory and behaviour. This article is taken from our Sleep Guide which you can download for free on our website. Importantly, poor sleep affects motivation and concentration, which means that individuals who are experiencing sleep problems may make more errors at school/work, particularly on repetitive tasks. This means that if your child is struggling on ‘easier’ tasks at school (which are often repeated until they are ready to move on to harder tasks) it is worth speaking to their teacher, who may be under the impression that they are struggling because of their intellectual disability, rather than the sleep issues. Sleep is also vital to a process called memory consolidation, where memories from the day (e.g. memory of that is learned at school) are strengthened. 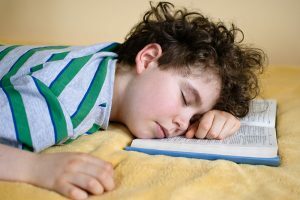 If sleep is disrupted these memories may not be stored properly, making it harder for children to use what they have already learned during the next day at school. Poor sleep may also reduce an individual’s ability to cope with changes in their routine. You may notice that your child shows more challenging behaviour (for example, self-injury, aggression, destruction) when they have not slept well the night before. This is common in children with intellectual disability and also in children and adults of typical development! We are all more irritable when we have not slept well and are therefore more likely to show behaviours which indicate that we would like certain tasks to end or situations to change. Since individuals with intellectual disability may have limited ways to communicate their feelings and preferences, challenging behaviour can be a very effective way of indicating needs or desires (for example for a task to be taken away). It is natural for parents/carers/teachers to want to respond quickly to the challenging behaviour, which means that it is more likely to occur again the next time they want a task to be removed. For more information on mutual reinforcement of challenging behaviour, see “Parent response to waking” on page 10 of our Sleep Guide, and also our factsheet on Managing Challenging Behaviour. Parents of children with intellectual disability therefore have a lot to do: comforting children with sleeping problems, acting as an advocate for their child’s learning and health, and managing challenging behaviour. 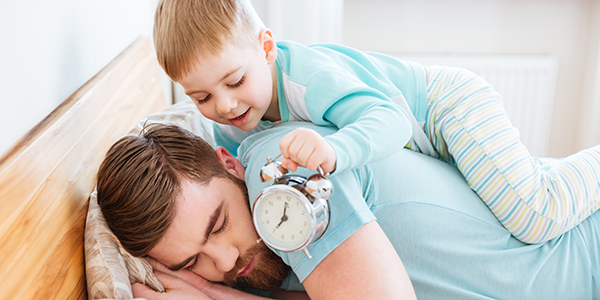 Often parents and family members experience a loss of sleep themselves, which can make managing these aspects of parenting more difficult and may even contribute to low mood and impaired concentration. It may feel as though your child’s sleep problem is out of your control or that you do not have he time/resources to invest in fixing it. However, after thorough assessment, there are some simple intervention strategies available in Part Three of the guide which can help to improve sleep. You can download our Sleep Guide and our new tips and techniques booklet free of charge from our website. If you’d like some individual advice on tackling your child’s sleep issues please get in touch with our Sleep Team. 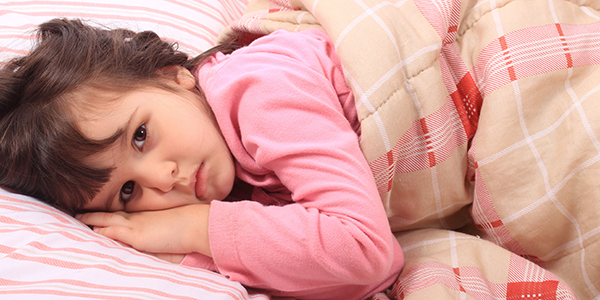 This article takes a look at what you can do if your child just won’t go to sleep. It’s taken from our Sleep Guide which is available to download for free. What should I do when my child just will not go to sleep? Often settling problems can be caused by a lack of bedtime routine or perhaps the bedroom being associated with activities other than sleep. However, even after establishing a calming bedtime routine, it may be that your child does not want to go to sleep and cries out to you. 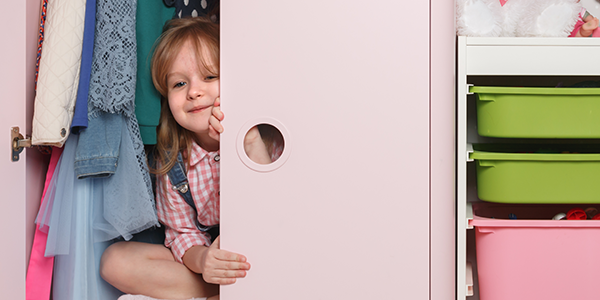 This may be distressing for you as a parent to hear and your natural reaction may be to go back into your child’s bedroom. As described in Part One of the Sleep Guide, this may be contributing to the problem, and so the next step for intervention would be to stop reinforcing the settling problem. This may require ‘ignoring’ your child’s cries, which is known as extinction. However, this can be very difficult for parents and children, so graduated extinction is recommended. Agree a set amount of time (e.g. 2 minutes) that you will allow your child to cry for, before briefly checking on them. When your child has been crying for the 2 minutes, go in and check them. This checking should only be to reassure yourself that the child is alright and to tell them to go back to bed. When you check on them, do not offer physical interaction, music, or any other aspect of the bedtime routine. Leave the room and wait the agreed time before repeating the checking procedure. You may have to repeat this many times before your child eventually falls asleep, so it’s a good idea to start on Friday night or another evening where no one has school or work the next day. The next night, gradually increase the amount of time you allow before checking on your child (e.g. from 2 minutes to 4 minutes), and continue to keep the checking procedure brief. Repeat this until the child’s crying at settling reduces. If you’d like some individual advice on introducing this technique please get in touch with our Sleep Team.